During his youth he became interested in conventional magic tricks using his younger brother as an assistant with the substitution trunk illusion. Around 1923 he became aware of the various magic periodicals available and subscribed to the IBM’s Linking Ring Journal and the Sphinx that were considered the most informative journals for magicians at that time. Theo was influenced by Ed Marlo, a knowledgeable and clever card magician, who was to influence Annemann’s ideas and approach to mentalism. 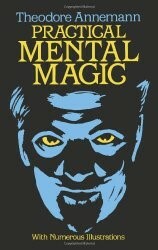 He devoured every written word about mental magic by accumulating many books, manuscripts and the secrets of mentalists. By age 17 he began to make a name for himself with magic, more with cleverness than his dexterity or physical techniques. He also began to publish some of his effects and sometimes would pilfer someone else’s trick claiming it as his own. However there is no doubting his remarkable skill in turning even a basic card trick into a mental miracle. Although some of his effects used old principals, he managed to inject his own personality and methodology. 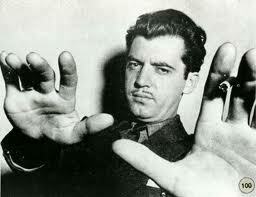 He became known as, “Annemann the Enigma.” and during the 1930’s became the best known mentalist of the age. In October 1934, Annemann began to publish his periodical called “The Jinx” that ran for 151 issues and ceased publication in October 1941, shortly before his sad death. Each issue contained 48 pages and editorial that became the most popular magician’s journal of the day. Originally a monthly publication, in 1939 it became a weekly due to its growing popularity. Not all the material was about mentalism and spiritism but also included information on standard magic tricks as well. It is still considered essential reading for any aspiring mentalist and his editorials considered to be highly beneficial to all magicians. The written material within “The Jinx” pages is still considered the foundation stones of mentalism. 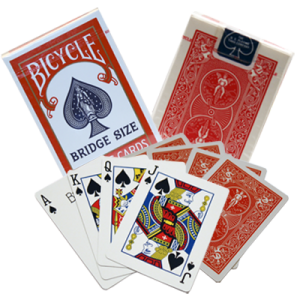 The hundreds of card tricks devised by Annemann offer a huge repertoire for performers to draw from. One of his finest routines was his ‘Pseudo-Psychometry’. He would have a spectator collect a varied number of personal items from audience members and place them into either envelopes or bags and then mix them up. Annemann would take each envelope or bag without looking at the contents and using sensitivity would describe and identify its owner then give a character reading about the person. Many mentalists consider “The Jinx“, a most important publication, a treasure chest of sound ideas, routines, methods and commentary. Still highly sought after. Annemann was also known for his version of the very dangerous presentation of the Bullet Catching Trick (as seen below) that he performed outdoors. Usually a police officer would provide his hand gun or rifle. Anneman would have a bullet selected from box of ammunition and marked in some way for identification. The bullet was loaded, while Theo stood off holding a plate in his hands. The police marksman would fire at him and the apparent shock of being hit would cause the performer to jerk backwards and fall spitting out the bullet onto the plate with blood flowing from his mouth, but otherwise unharmed. It was a great spectacle to the hundreds who watched these events and climaxed by the marked bullet being recognised and affirmed. This same effect has taken the life of a number of magicians throughout history, so as they often say on television, “Do not try this trick at home”. Theodore Annemann performed mostly as a cabaret mentalist, mind reader in the New York area, performing in hotels, private clubs, and smaller theatres. He had a dramatic approach to his stage manner and looked very credible in everything he did. Fortunately his extensive writings and material from “The Jinx magazine” have been faithfully digitally preserved on DVD, so they remain a vital resource for magicians and mentalists. Theodore wrote a number of manuscripts and books including his, 202 Methods of Forcing, Mental Card Miracles, Mental Mysteries, and En Rapport, a treatise on a two person mind reading act. My own copy of ‘The Life & Times of a Legend – Anneman’ by Max Abrahams has 621 pages and is a big, constant reference book for me. It contains over 360 individual tricks and routines that will take me forever to absorb and appreciate. It is said to contain Annemann’s complete works. Not a great deal is known about Annemann’s private life apart that he was married twice and had one daughter. Tragically he committed suicide the night before he was to perform his Bullet Catch for the first time at an indoor venue. Although he was estranged from his wife at the time, it was suggested that he may have been suffering from depression. He was aged 34. It was known that prior to performing, he suffered from nerves and during performance was often seen to become stressed and come out in a sweat that audiences thought of as being under the mental strain that mind reading demanded. It was a great tragedy for the world’s magic community for such a gifted creator of so many mental mysteries to have died at such an early age. However we revere his memory and contribution to the wonderful art and history of magic we belong to and share. Annemann was indeed an Enigma.